I was introduced to Stur recently and I find the idea of it rather terrific. It’s labelled as a water enhancer and is to be used like cordial, a squirt into some water and there you have it. The bottle is small and compact so you can easily carry it in your handbag or car. 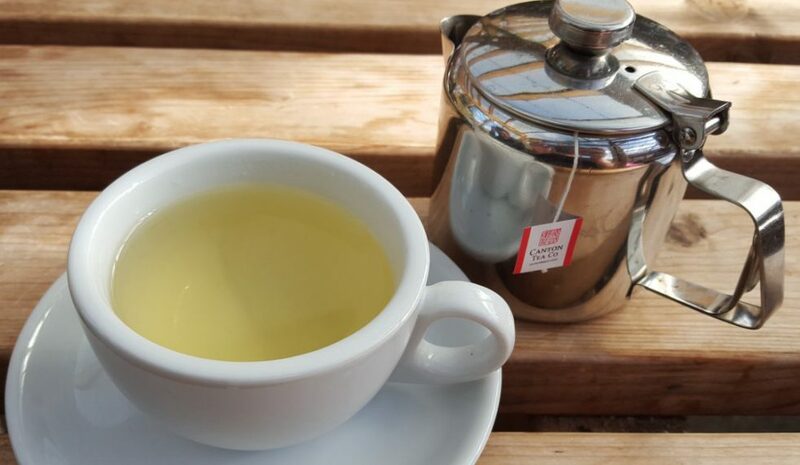 This is quite different to cordial though, not only does the Lemon Stur I have boast 0 sugar and 0 calories, not only is it high in Vitamin C and made with natural fruit flavours, not only is it Vegetarian Society approved and free from caffeine, dairy, gluten and nuts, BUT it also contains tea. A healthy cordial style liquid that contains tea….now you can understand the terrific statement. Stur® is a natural fruit flavour water booster that is lightly sweetened with Stevia leaf extract. It has 0 sugar, 0 calories, and 100% of your daily requirement for Vitamin C. Vitamin C may help to maintain a healthy immune system and helps to avoid tiredness and fatigue. Available in several flavours, Stur helps people drink more water, by adding as little or as much flavour as they want. Stur is a family-run company, passionate about better health. Our mission is to help millions drink more water, and we’re really proud of developing a good-tasting product without any artificial sweeteners, flavours or colours. I have a bottle to try of Lemon flavour Stur. Firstly let me start by saying that each 50ml bottle contains 30 servings. Such a small bottle and yet you can get that many drinks from it, very handy. As I open the cap and take a sniff I can note both lemon and tea, it smells just like lemon iced tea you can buy pre made. It’s slightly sweet but mostly sour. So I will be putting one squeeze of this Stur over ice and into a high tumbler to try. It’s a little different from what I usually do but frankly it contains tea so I’m happy to review it. I put the ice into my glass and squeeze in some Stur, it’s dark brown and looks just like tea. I don’t know why but I didn’t imagine it being so dark. In flavour this is in one word: revolutionary. It’s iced tea with lemon on demand at the squeeze of a bottle. Instant iced tea without the planning and calorie free. The lemon is sour at first but the stevia sweetens it before developing a mild tea flavour that becomes refreshing. Such a powerful flavour for so little of it used, it’s easy to say that this has exceeded my expectations. In summer I love iced tea and if I don’t have time to make it myself I buy it pre made in bottles with lemon being my flavour of choice. I won’t state any brands but if you’ve had lemon iced tea before then you can understand what to expect, well this small bottle is that and more. You get the same flavour and enjoyment of a pre made lemon iced tea but with less hassle. Since I’ve never tried anything like this before I will not rate it but will happily agree that this will be a future purchase. There are two flavours of tea based Stur at the moment: lemon and peach. These will be perfect for busy days at work and I know with certainty that I will enjoy the other 29 cups of this.